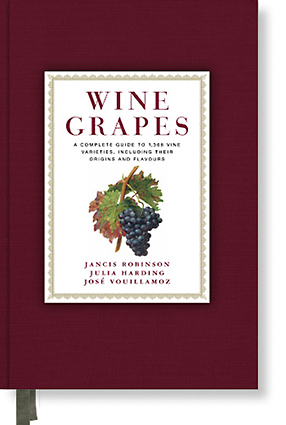 Wine Grapes is an indispensable book for every wine lover, carefully researched, written and assembled by Jancis Robinson, Julia Harding and José Vouillamoz (see About the authors). 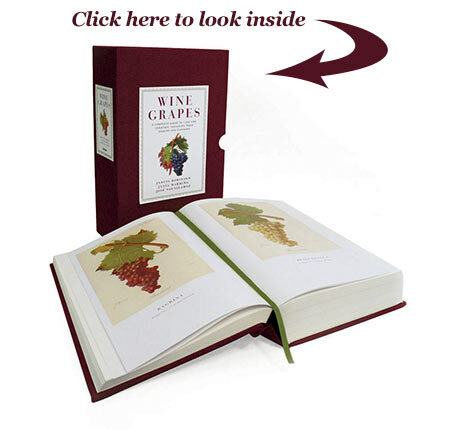 Presented in a stunning design with eight-page gatefolds that reveal unique and often astounding pedigree diagrams and a rich variety of full-colour illustrations from Viala and Vermorel’s century-old classic ampelography, the text will deepen readers’ understanding of grapes and wine with every page. 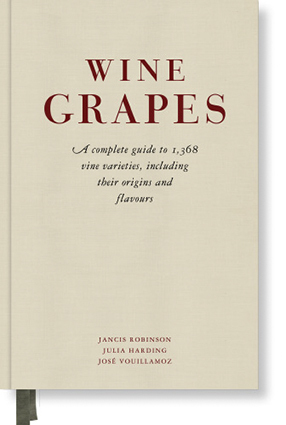 See In the beginning was the grape and The founder vine varieties, both published in the Financial Times on 13 October 2012, and this interview with Jancis (in French) by wine writer Michel Bettane.